All necks now come with carbon fiber reinforcement. 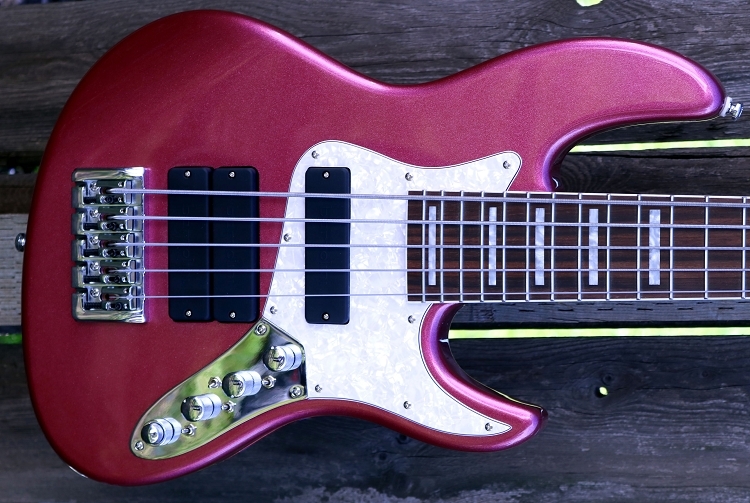 This one is loaded with x3 Bartolini 2 Square J Pickups .Each pickup has a 3 way coil tap switch . The back 2 pickups also have a 3 way switch so you can use together or separate. As an added benefit the 2 pickups also act like a ramp. There are so many different tones you can get just by flicking switches. Basses get complete setup the day we ship your bass. Average build time 1-3 weeks- we will send you a tracking number when done. 3 Band J Style Plate wire with Pikes Audio Blue Box - Available in Chrome,Gold and Black.